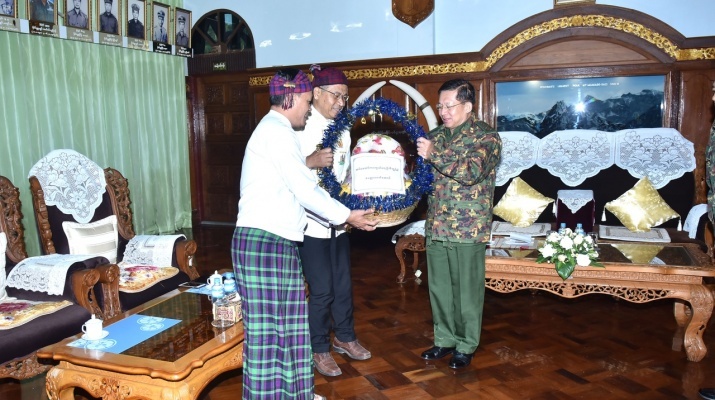 The Senior General said that he was glad to see that Kachin State has developed compared to the past despite hardship and crisis. It is important for the national brethren to maintain amity and trust as they live on the same land and share the same river. Everyone wants to lead a peaceful life with wealth. 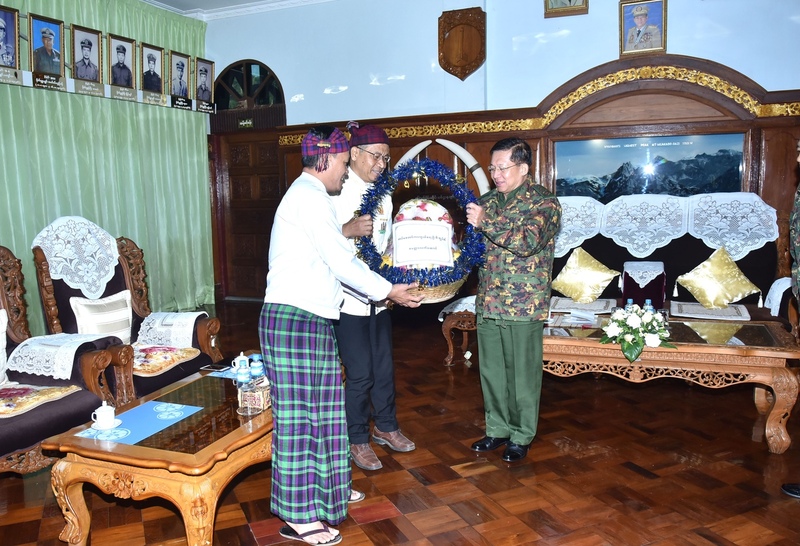 Similarly, it is important that everyone joins hands and strive for national development.The main duty of Tatmadaw is State defence,and is engaging in the national politics for national interests. Not only Tatmadaw,but each and every citizen should engage in national politics and work for national interests with love for their motherland but without dogmatism. Tatmadaw is a part of the nation, and Tatmadawmen are the part of the people born by the ordinary people. It is important that there is a sense of belongingness between Tatmadaw and people, and between Tatmadawmen and the country. 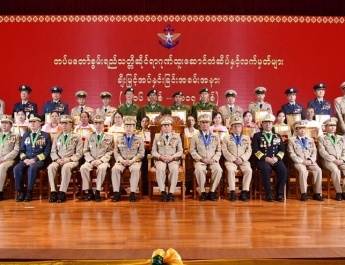 And Tatmadaw therefore is taking steps to improve its public relations. Rather than pointing a finger at the past, all should try in collaboration to learn lessons from the past and find answers to build a better future. Now, the country is on the path of multi-party democracy chosen by the people,and Tatmadaw is helping the country to walk stably on that path. Tatmadaw is helping in various regions for national development,and is also rendering health care services. As stated in its declaration on 21 December 2018, Tatmadaw has made ceasefire. 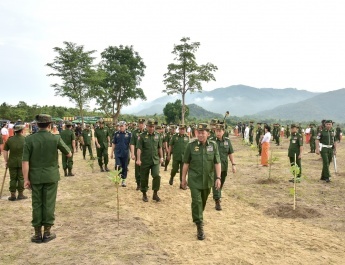 And Tatmadaw hopes that displaced persons taking shelter in camps could come back to their homes as soon as possible and engage in the previous livelihoods with peace of mind. 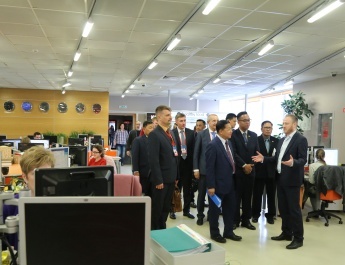 It is important to exercise restraint in order not to cause burden on ethnic people.And it is important that talks are held as soon as possible during the truce. 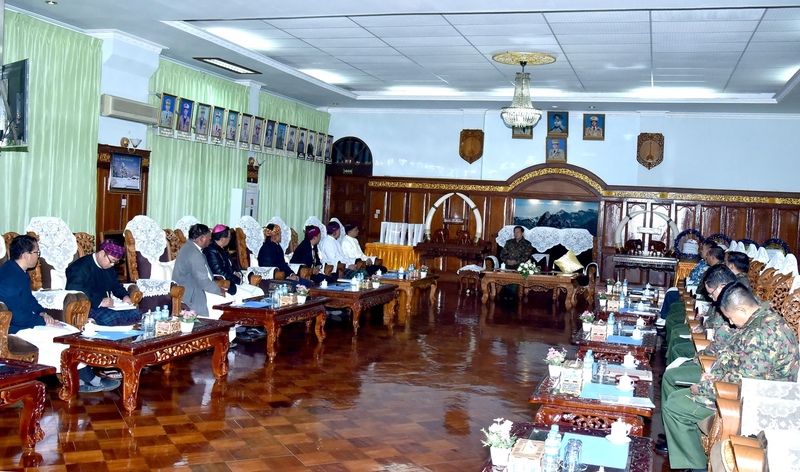 Ethnic armed groups can individually hold talks with either the National Reconciliation and Peace Center or Tatmadaw negotiation team. Only when there is stability, efforts can be made for regional development. And in working for regional development, it is important to act with rationality, awareness and advertency in order to benefit the region, country and people as the whole.